Sam is a Policy Advisor in the House Republican Policy Office. He advises on issues related to Health Policy and the Department of Health and Human Services Appropriations Subcommittee. 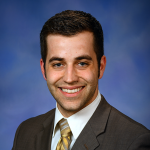 Prior to working with the House Republican Policy Office, Sam was the legislative director for Senator Joe Hune. Sam received his bachelor’s degree in Political Science from Michigan State University in 2013.